Marvin Rosen, the host of the show Classical Discoveries, originating from WPRB in Princeton, New Jersey, is going to play the last movement of Music for Michael Skrtic - "La grande sonnerie" - on this year's Classical Discoveries VIVA 21ST CENTURY Marathon. The piece will be aired sometime between 9:00 PM and 11:00 PM on Saturday, December 28. The Marathon runs from 2:00 PM EST Saturday afternoon to 3:00 PM EST Sunday, and will consist entirely of music written in 2012 and 2013. You can listen to WPRB on the Internet here. 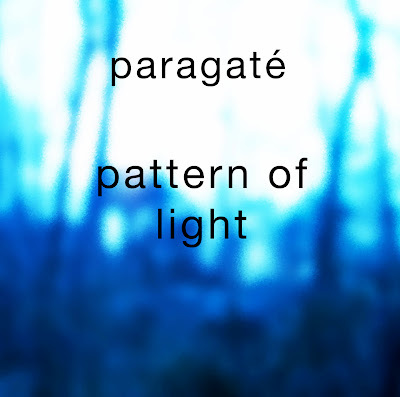 Pattern of Light is available for sale, as a download or a CD, on the Camerata Bandcamp page. "the salt Ocean rolled englob'd" (December, 2013). A movement from Blake Pieces, music based on William Blake's Book of Urizen. "Say You Want Me" Tim Risher & Tom DePlonty (December, 2013). "Deco" Tim Risher & Tom DePlonty (December, 2013). It's not often Tim and I whip one out in a day, but when we manage, the piece is usually a personal favorite. This is no exception. "Crash License" Tim Risher & Tom DePlonty (December, 2013).